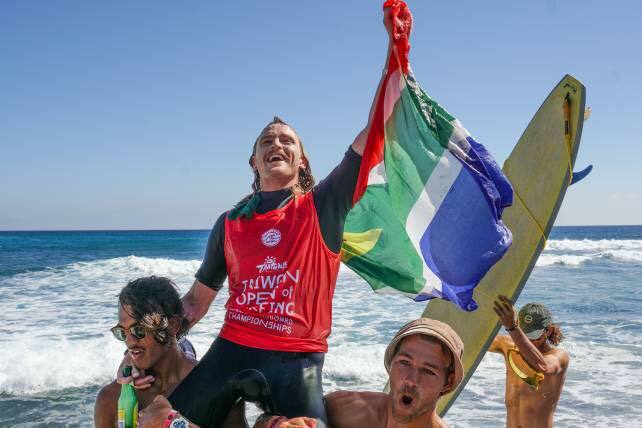 SOUTH AFRICAN WINS THE 2018 WSL WORLD LONGBOARD CHAMPIONSHIP AT THE TAIWAN OPEN OF SURFING. So what is South Africa famous for? Other than its amazing natural scenery and game parks, we’re not that proud of our tumultuous past, corrupt governments, a soaring crime rate and the list goes on. We may not be the smartest nation on Earth either; our former president Jacob Zuma could barely count (he is now on trial facing corruption charges), 90% of Safas (South Africans) believe chicken is a vegetable, and that place Canada is actually a state in that country called Texas. But there is one thing we know a thing or two about: surfing. South Africa has some bloody good waves along its coastline, and more than a handful of skilled wave riders, best believe it. 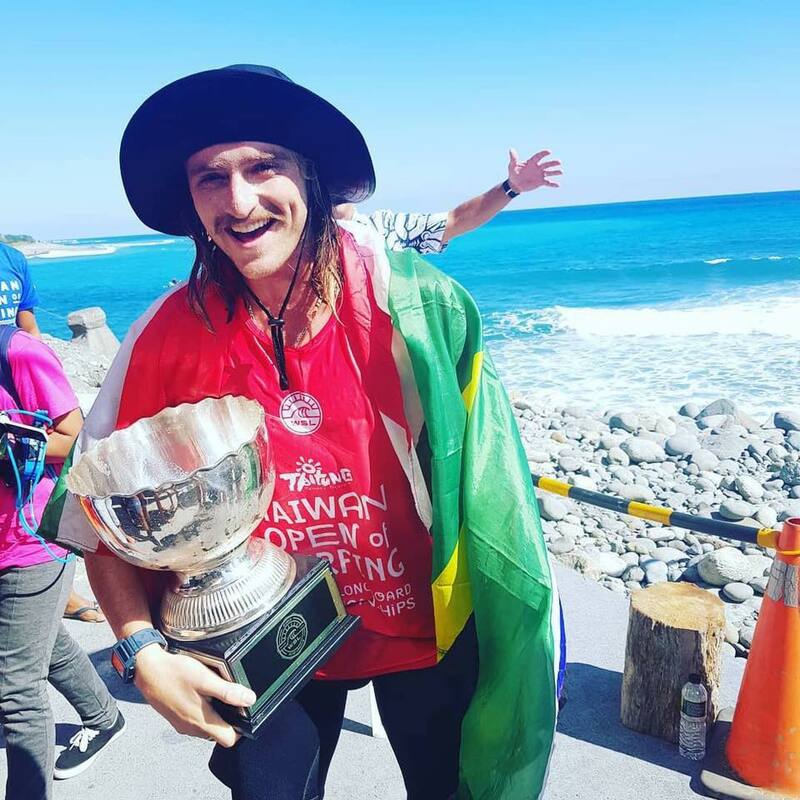 So it comes as no big surprise that South African Steven Sawyer (ZAF) has won the 2018 World Surf League (WSL) World Longboard Championship at the Taiwan Open of Surfing, defeating longboarding legend Kai Sallas (HAW) in clean, one metre waves at Jinzun Harbour in Taitung, Taiwan. The 24-year-old from Jeffreys Bay was on fire all event but saved his best performances for the final day, posting excellent heat totals in all three heats, including a near-perfect 9.50 (out of 10) single wave score in the semi-finals, the highest of the entire event. Sawyer’s combination of traditional and progressive longboarding moves was impeccable as he went one better than his runner-up finish at the 2016 World Longboard Championship. “2016 was my second year at the World Championships and I don’t think I was ready or prepared to win — This year I was definitely ready,” Sawyer said. “I still pinch myself when I surf against guys like Kai (Sallas), Taylor (Jensen) and Harley (Ingleby), They are all my heroes so competing against them is surreal. Sawyer, who is also an accomplished shortboard competitor having won a WSL Qualifying Series (QS) event and earning a wildcard into the 2017 J-Bay Open Championship Tour event, was competing on a surfboard shaped by his father, Des Sawyer, that seemed to suit the waves of Taiwan perfectly. He now joins a select group of South African born WSL World Champions that includes Shaun Thompson, Wendy Botha, Grant ‘Twiggy’ Baker and Jordy Smith (Junior)..
“My dad has been shaping me incredible boards recently and they worked so well all event. 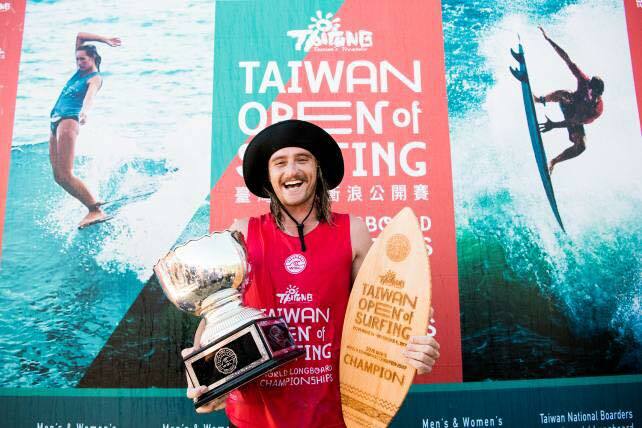 This is my second time to Taiwan and it is such an amazing place with amazing waves, I think it’s the best surf trip I have ever done — Now it’s become even more special for me,” said Sawyer, who had the massive crowd supporting him on the beach erupting every time he caught a wave, making the atmosphere electric. Sawyer’s fellow WSL Africa representatives in the Men’s and Women’s World Longboard Championships were eliminated earlier in the event with Sam Christianson (Durban) advancing to Round 3 before ending his debut campaign in equal 13th place overall. Alfonzo Pieters (Muizenberg) and Chrystal Hulett (St Francis Bay) were both ousted in Round 2 with Pieters finishing equal 25th in the men’s event and Hulett equal 13th among the women in her maiden world title event. 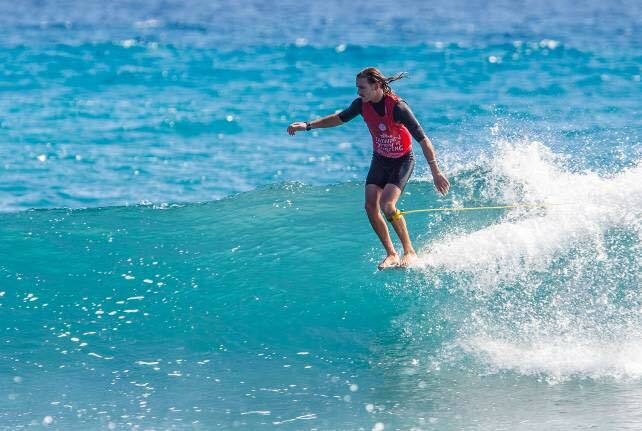 The 2018 Taiwan Open of Surfing will continue with the WSL World Junior Surfing Championships now that longboard champions have been crowned. This is the first year in WSL history that the Junior and Longboard Champions will be crowned at the same event. The best 18-and-under surfers in the world will do battle for the chance to join the historic winner’s list that features the likes of Andy Irons (HAW), Joel Parkinson (AUS), Adriano De Souza (BRA), Jordy Smith (ZAF), Jessi Miley-Dyer (AUS), Laura Enever (AUS) and many more. All the action from the Taiwan Open of Surfing can watched live at www.worldsurfleague.com and on the Free WSL App. Head there for more information, images, highlights and results.